This polypropylene floor scrubbing brush is designed to fit on the Trusted Clean 'Dura 18HD' electric scrubber and is great for everyday cleaning and scrubbing. Brushes typically outlast pads 100 to 1, and are great for all types of floor surfaces, but where they really excel is on uneven surfaces such as unfinished concrete and grouted tile. A pad driver is sold separately, and when used with the correct pad, is great for scrubbing smooth floors. 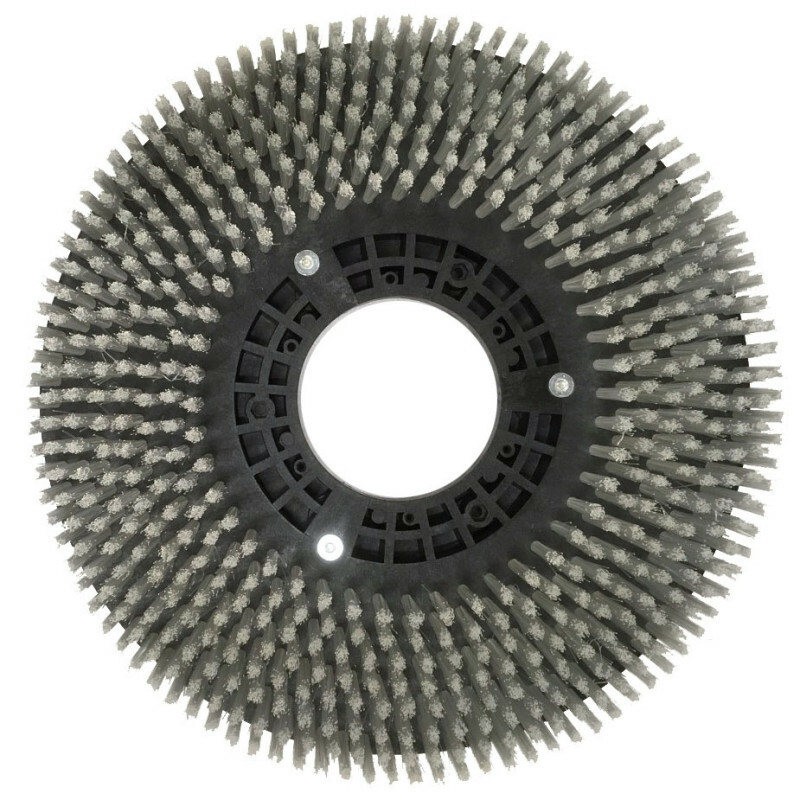 This brush will remove the the heaviest of soils and scuffs when paired with our Trusted Clean 'Low Foam' degreaser. It can be used with all types of cleanings and on most types of surfaces, smooth or rough. 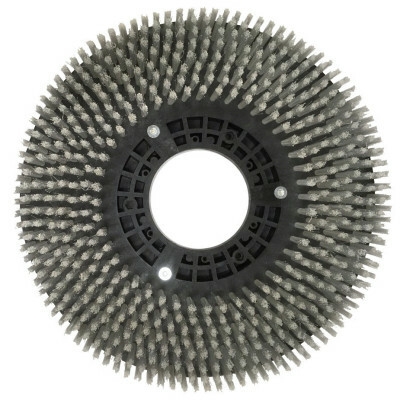 For specialty cleaning on high friction surfaces like rubber mats or sport courts, we recommend the softer nylon brush option to reduce stress placed on the brush motor. 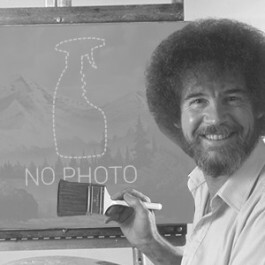 *Please Note: Do not use this brush with fuels, solvents, thinners, or other flammable materials as serious bodily injury can occur from possible fire or explosion. It should also not be used on high friction surfaces like rubber mats or sport courts. Turn your auto scrubber off and unplug from the wall. Tilt the machine backwards so you have access to the underside of the front apron. Line up the 3 posts from the top of the brush with the drive hub. Make sure all 3 posts are properly inserted into the drive hub. Push the plunger down on the top side of the apron to lock the drive hub into place and prevent it from spinning. While holding the plunger down, spin the brush clockwise with your other hand until you hear it click into place. Customers who were interested in the Trusted Clean 'Dura 18HD' Poly Everyday Floor Scrubbing Brush were also interested in the following items. This is a review for the Trusted Clean 'Dura 18HD' Poly Everyday Floor Scrubbing Brush.